A mllion people took to the streets of the Algerian capital yesterday to demand the resignation of President Abdelaziz Bouteflika, in the biggest demonstration since unrest erupted six weeks ago. The huge turnout came days after the military called for the long-serving leader’s removal to end a growing political crisis. State TV showed protests in several other cities as well. The protests have been largely peaceful but in at least one location, police opened fire with tear gas after youths hurled stones at them. While many people are against Mr Bouteflika and his shrinking inner circle, they have also rejected the army’s intervention in civilian political life. “Street pressure will continue until the system goes,” said student Mohamed Djemai (25) as hundreds of riot police kept an eye on the protests and helicopters flew overhead. “We have only one word to say today, all the gang must go immediately, game over,” said Ali, a merchant, as other protesters shouted “the people want the fall of the regime”. Families stood on balconies above the streets cheering the marchers – Algerians from across society, including journalists, doctors, teachers and homeless people. “You are Titanic. You will sink,” protesters shouted. Army chief of staff Lieutenant General Ahmed Gaed Salah had asked the constitutional council to rule whether the ailing 82-year old president is fit for office after his 20-year rule. 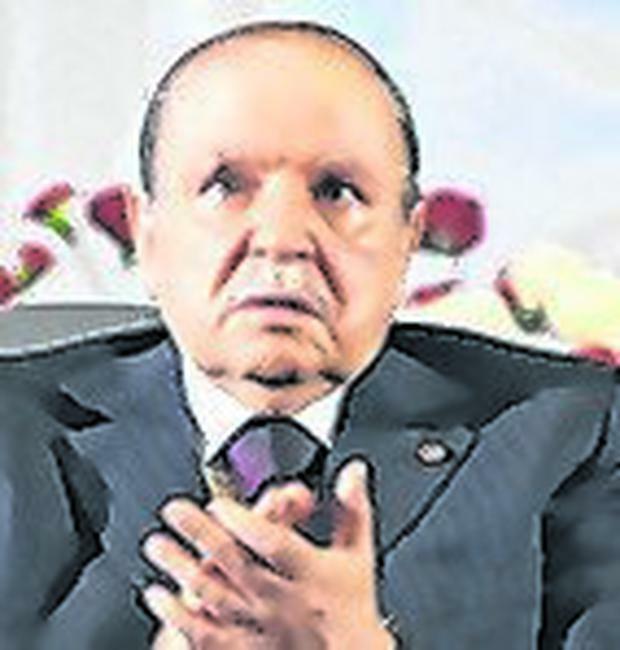 The move further isolated Mr Bouteflika, who has failed to placate Algerians by reversing a decision to seek a fifth term. Key allies have deserted the head of state, who has rarely been seen in public since suffering a stroke in 2013. Protesters have ambitious demands in a country long- dominated by veterans of the 1954-1962 independence war against France, now seen by many Algerians as too old and out of touch. The powerful military has stayed in the barracks throughout the unrest. But Lt Gen Salah’s call for Mr Bouteflika to go was a clear reminder to Algerians that the army intends to retain its vast influence.